Many of us have gotten accustomed with the use of cocoa butter as a beautifying agent on our skin and hair neglecting the fact that it can also benefit us in other health purposes. What i actually meant is that there are other health benefits of cocoa butter to humans of which we shall be looking at some of them. 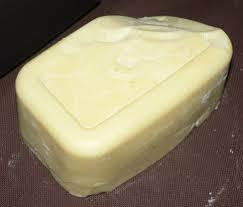 Cocoa butter is gotten from the beans of cocoa and it is highly used in the production of confectioneries like cookies and chocolates. And like i stated in my introduction, it is an ideal ingredient in the treatment of various skin and hair problems. 1. It contains antioxidants and fatty acids that are beneficial for the body. 2. It helps to neutralize the free radicals throughout the body. 3. It reduces the occurrence of oxidative stress. 4. It combats the signs of ageing. 5. The fatty acids found in it makes it an ideal choice for people who want to reduce inflammation of the skin. 6. It is beneficial in controlling blood pressure. 8. It is used in treating diabetes too. The various health benefits of cocoa butter are quite amazing, and it would be appropriate if one should tap into this wonderful gift of nature. Let us look at the following detailed explanation of its health benefits. The antioxidant property of cocoa butter makes it possible for it to control blood pressure. It relaxes the blood vessels by enhancing their elasticity. As the blood pressure remained in control, it eventually brings positive changes to the body. Cocoa butter is very low in cholesterol which makes it to have an effect on blood cholesterol level too. It reduces the amount of LDL (Low density lipoproteins) or bad cholesterol in the blood to very large extent. Cocoa butter contains flavonoids, and it acts s an antioxidant which prevents cell damage caused by free radicals. Flavonoids prevents the formation of blood clots and prevents the occurrence of cardiovascular diseases like heart attack and stroke. Cocoa butter is a food that is very healthy for the brain. It has neuro-protective property that keeps the brain healthy. It aids the stimulation of blood throughout the brain cells, which helps in treating neurovascular diseases. It also improves the function of the memory too. Consumption of cocoa butter aids in relieving bronchial asthma. It helps in opening up of the bronchial tubes and makes the flow of air through them much more easier. Additionally, it offers relaxation to the bronchial spasms and cures shortness of breath too. Cocoa butter has an amazing hypoglycaemic effect on the body. It improves the metabolism of glucose and regulates the level of sugar in the body. As a result of this, it is known to be very effective in the treatment of diabetes. These are the amazing health benefits of cocoa butter aside it being known as a beautifying agent.